3D printing is one of the hottest things trending in the tech world, and people have used it to create all kinds of things for entertainment, art, work, education, medical needs and more. We are slowly coming to grips with the potential that 3D printed materials can bring to the plate across multiple industries, including medical, manufacturing, education, space, and even weaponry. In fact, at the rate that it is going, 3D printing is probably one of the more promising technologies that could change the world as we know it. 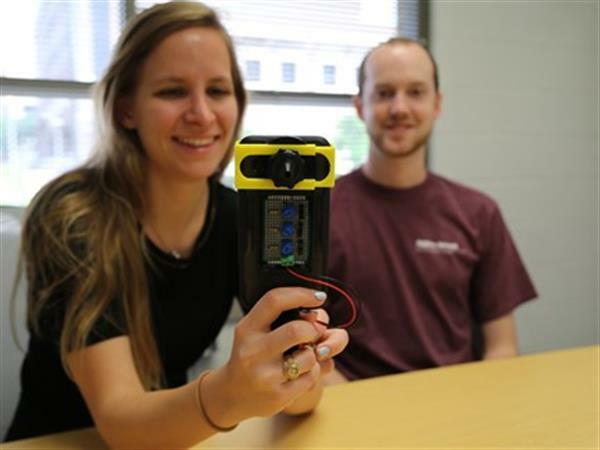 Now, Texas A&M University students have designed and developed a low cost 3D printed otoscope to help in diagnosing the hearing loss in the developing countries. This otoscope is plugged into a smartphone and it can take photos of the inside of the ear. According to the World Health Organization, hearing loss may result from genetic causes, complications at birth, chronic ear infections, the use of particular drugs, and exposure to excessive noise and aging. More than 5 percent of the world’s population suffers from hearing loss, making a low-cost otoscope an essential tool that could be used in clinics and hospitals in Third World countries. Robert Hunt, design team leader, and Tessa Bronez, vice president, both received degrees in bio-medical engineering this May, and they hope the group continues to refine their design now that they have graduated. 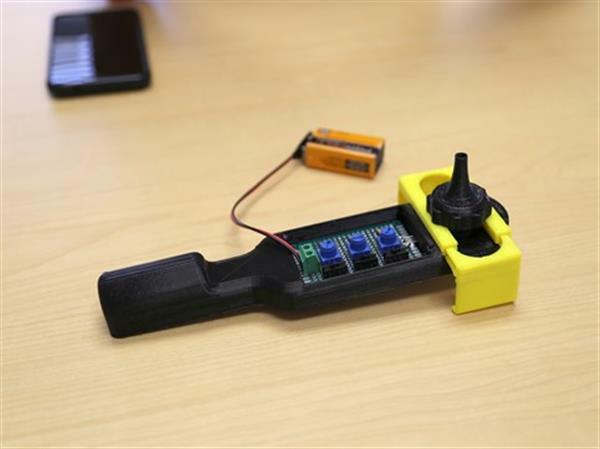 Their otoscope was created using a 3-D printer, standard lenses and a simple motherboard. The 3-D-printed clamp can be adjusted to hold any smartphone. Excluding the smartphone, the total cost of the otoscope is $6.42, hundreds of dollars cheaper than the otoscope used in a doctor’s office. The Texas students are currently looking into commercialization options and hope their tool can make a difference in the lives of millions of people.